It seems like every website you go to these days has a blog. But how many of them are updating that blog with fresh content on a weekly or even monthly basis? Probably not very many if you look at enough sites. Why aren’t they updating their blog? Most pest control companies either don’t understand the value of a blog or just lack the resources to keep one active. Perhaps they think it’s too expensive to keep one maintained. I’m going to explain why a blog is so necessary in today’s pest marketplace and how to go about keeping costs down to keep one active. 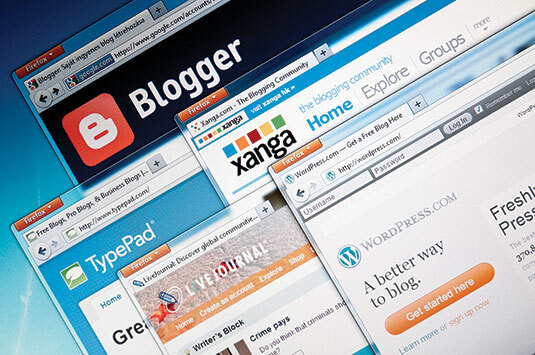 There can be tremendous benefits to your pest control company if you keep a blog. Most people think that this is because potential customers will see your blog, read it and be so impressed that they call you to book services. Yes, this absolutely happens but that is not the only reason to keep a pest control blog. Fresh content is necessary because Google likes a site better every time it gets an update. Literally everything you write on your blog gets picked up by Google and indexed. This means that you will start to rank on Google for anything that is on your site. If you write a post about centipedes in the basement, then Google is going to rank you higher for all things related to centipedes. If you write about the mating habits of bed bugs, then Google is going to associate your site with information on bed bugs and thus rank you better for these annoying pests. The key to any long-term pest control business is to be seen where people are looking for pest control services. In today’s day and age, this happens to be the major search engines we all use. Don’t make the mistake of having a website but not building it to its full potential. What if I don’t write well or if I don’t have time? If you have some writing experience, then that is helpful but if you don’t then not all is lost. Through a Google search for remote workers worldwide, you will find a host of websites that set you up with freelancers who can do your research and writing. These are writers that are looking for work and they probably write better than you. They can be found for $5-10 a blog post and all you do is supply them with a topic. The rest is done by them. In a few days, you get a fresh blog post to your inbox. Sounds crazy doesn’t it? For less than $50 a month you could have four posts written for you about anything pest control related. Focus first on your main services. If you specialize in scorpions, then write about everything related to scorpions. The more the better. Google will raise your site in the rankings for scorpions the more information you have about them. After writing about your main services, try writing about each pest you can think of. Write about their birthing habits, write about what they eat, anything will help you to look like an expert to Google. After this, write about any pest issue you can imagine. Get creative, include content about every aspect of your business. Trust me, you will not regret this. You will start to gain traction on Google for these pests. Multiple reasons have been made in this article for keeping a blog. Perhaps the best reason is that your competition is probably not putting as much effort into keeping their blog as you are. How can they compete with your robust blog that is constantly getting you ranked higher on Google? It might not seem worth it in the beginning, but if you are in this pest control business for the long term then a well thought out blog can be huge for business. 1 Comment on "Essential reasons to keep a pest control blog"
Thank you for confirming that we are on the right track of updating our blog at least once a month or more if time permits. Blog is what makes our website on the first page ranking by google.